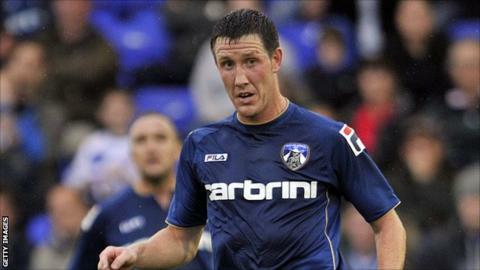 Oldham defender Cliff Byrne has won his appeal against his sending-off in the 1-0 win at Portsmouth on Saturday. Pompey striker Jonathan Obita and Oldham's Connor Brown were involved in a tussle, after which Obita and Byrne were dismissed for violent conduct. Byrne, who was not involved in the incident, has had his ban overturned and is free to face Chesterfield in the Johnstone's Paint Trophy on Tuesday. Instead, full-back Brown has been handed a three-match suspension. Speaking after the match, Byrne told BBC Radio Manchester: "I think they (the officials) know they've made a bit of a mistake. How they've made the mix-up, I don't know. I was miles away from the ball. "In their defence, it was probably an honest mistake, but I think 12,000 home fans were singing 'you don't know what you're doing' when he was sending off an away player."